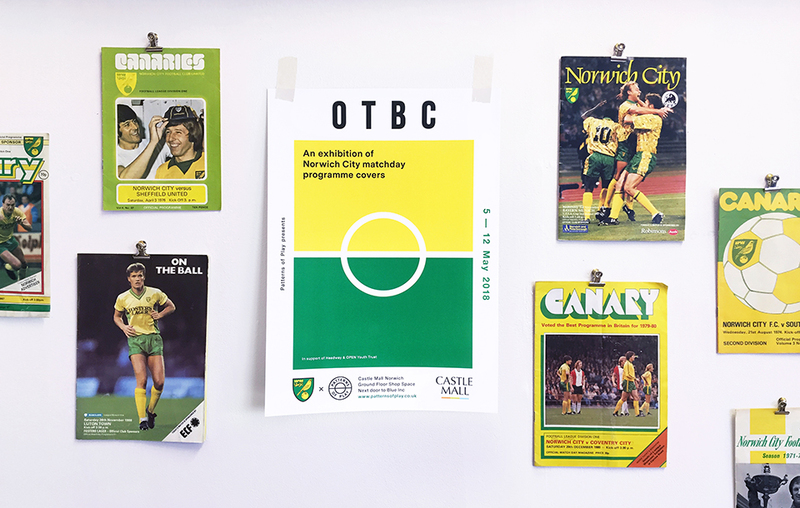 As the 2017/18 football season draws to an end, we are excited to announce that Patterns of Play will be hosting a Norwich City Programme Covers Exhibition, showcasing the matchday cover artwork we have produced for the Canaries throughout the campaign. The 8 day event kicks-off on Saturday 5th May (9am – 6pm) and continues every day until Saturday 12th. 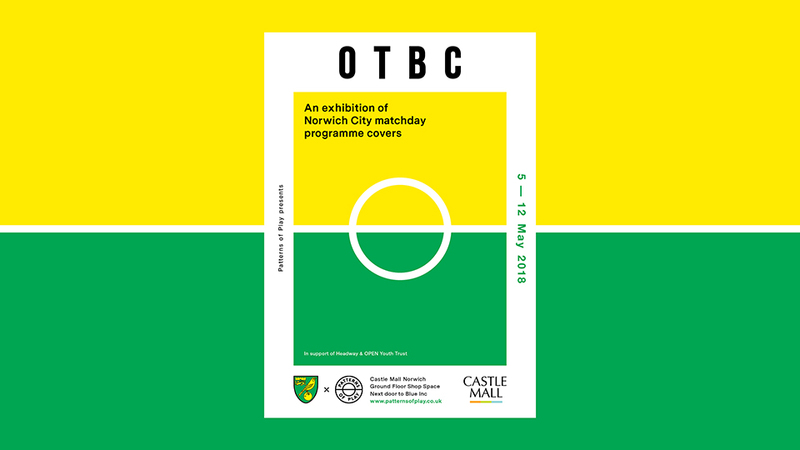 The exhibition will take place on the ground floor (Level 1) of the Castle Mall shopping centre in Norwich, situated between Poundworld and Blue Inc. The show will present all 24 cover artworks from this season, celebrating each of the talented artists and the individual stories behind their pieces. A range of visual styles will be on display including graphic design, illustration, printmaking and typography. Print editions and postcards of all artwork will be available to buy at the exhibition. A selection of original artwork and drawings produced by the artists during the project will also be on display and available for bidding on, along with some other great prizes in a silent auction taking place throughout the exhibition. All proceeds from the auction and a percentage of print sales will be donated to two local charities, Headway Norfolk & Waveney and OPEN Youth Trust.